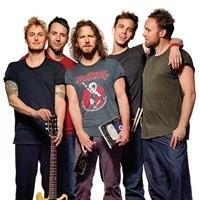 Pearl Jam is a Seattle band that formed after the break up of Gossard`s and Ament`s previous band Mother Love Bone. Pearl Jam went on to become one of the most popular grunge bands of the 90s. Guitarist Stone Gossard and bassist Jeff Ament with the help of Mike McCready also on guitar and the drummer from Soundgarden Matt Cameron recorded a demo with vocals by Eddie Vedder. From that moment on Pearl Jam made us (and will continue to make us) rock out to their 8 studio albums during their now 15 year career. Participate in this ranking, listen to and vote for their albums. They are highly recommended.